Remember the song Cat’s in the Cradle by Harry Chapin? I realize I’m dating myself but I was reminded of the song as I connected with people I care about this last weekend. The message of the song is about making time for those that we love. Life is about connection and relationships. No matter how busy we may be, we should always remember that our memories are most often created with others. 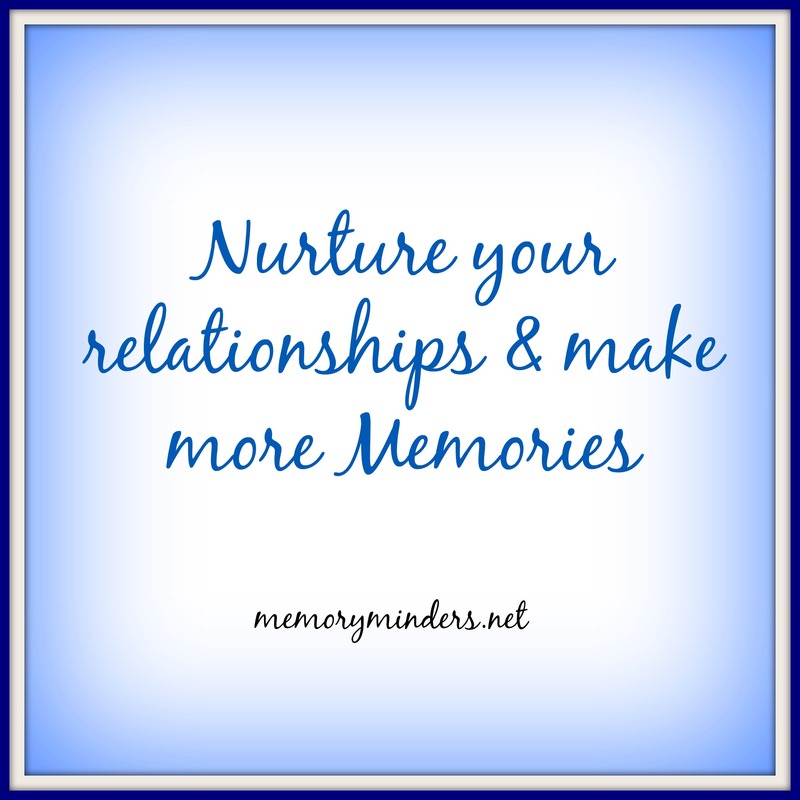 Nurture your relationships and make more memories. 2015 is now in full swing. We are busy and our lives are full. In the midst of the busyness, we can often overlook the ones closest to us, the ones with whom we make the most memories. I know I do this and then regret it. At times, it is the important people in our lives to whom we pay the least attention. When we choose things over people, we lose the connection and the memories we could make with them. As my life was flying by the last few weeks, I realized I was missing some of those integral connections. This weekend by my prompting and invitation of others, I reconnected with people I care about. It was lovely. We caught up, laughed, cared and connected. Relationships were nurtured and memories were made.. Whether it’s a quick call, date night, a pop in by the parents or taking the time to listen to someone who needs to talk, take the extra moment to nurture relationship in life. We are often tempted to rush through our days, but when we do, we may miss the memories that can mean the most. I don’t’ want to look back on my life, regretting the time I could have spent nurturing the relationships I have been given. It could be with clients, parents, friends or family, but I don’t want to wind up the like the man in the song who inadvertently taught his son that busyness comes before relationship. 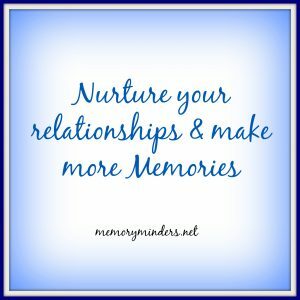 I want to make and nurture my memories by nurturing my relationships.